How to Find Homes in Sun Lakes AZ for sale when the market is tight. 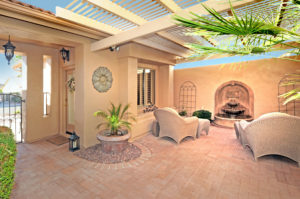 Homes in Sun Lakes AZ for sale are limited due to extremely low inventory. But, don’t worry! The Kolb Team has you covered. Currently, of the 10,000 homes in Sun Lakes, only 60 are actively listed for sale. Many people use Zillow to search for homes and are surprised to find out the home they are interested in is no longer for sale. That is because many Realtors do not go in and update their Zillow page when a home is under contract or has sold. The most accurate way to find homes in Sun Lakes AZ that are for sale is on our website. Find Homes in Sun Lakes AZ for Sale Now! In order to create a search, the website must have access to the local multiple listing service. Some real estate agents do not want that expense. The Kolb Team feels it is essential and a real estate website without it only leaves consumers frustrated. On our site, you can create your own search, or you can contact us and we will set it up for you. It is easy and allows you to watch the market like we do. Notifications will be sent automatically to you as soon as a new home hits the market. We can even set up a portal for you to track the homes. Keep the ones you like and discard the rest. We want this to be as accurate and stress free for you as possible, so we go the extra mile to help you with your Sun Lakes home search. Why is Sun Lakes so Popular? Sun Lakes is the largest of the 55+ communities in the East Valley of Phoenix. Location is a top choice with easy access to all of the major freeways and airports. Retail, restaurants, theater, museums and professional services are nearby. But, what really makes Sun Lakes a great choice is the amenities. Golf, tennis, pickle ball are just a few. Swimming, fitness classes, entertainment, card clubs and senior softball add more options. If you can’t find something you enjoy in Sun Lakes, Arizona, it would be the first! Ready to find homes in Sun Lakes for sale? Contact us here or call us 480-440-0849. Let’s get started today!